Exhibit of Olmscheid's photos of restoration workers at Capitol | Who Built Our Capitol? 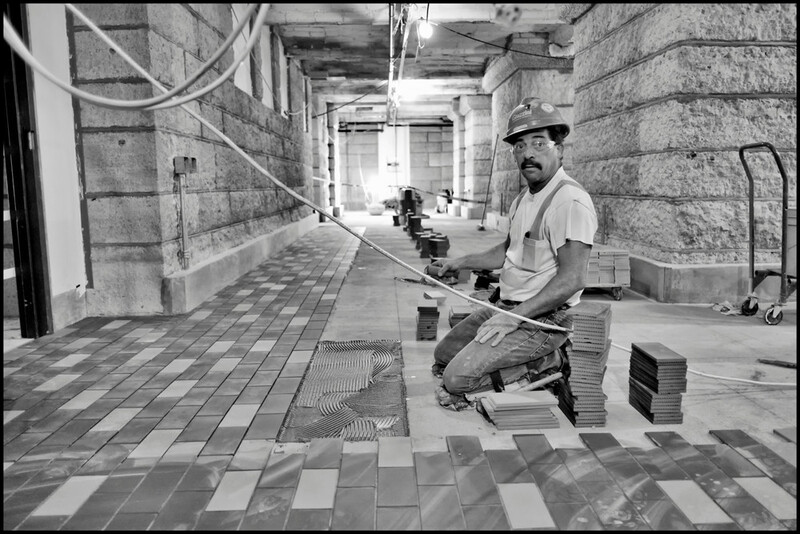 An exhibit of photographs by Tom Olmsheid portraying tradespeople who worked on the recent restoration of the Capitol is on at exhibit in the newly opened building's basement. 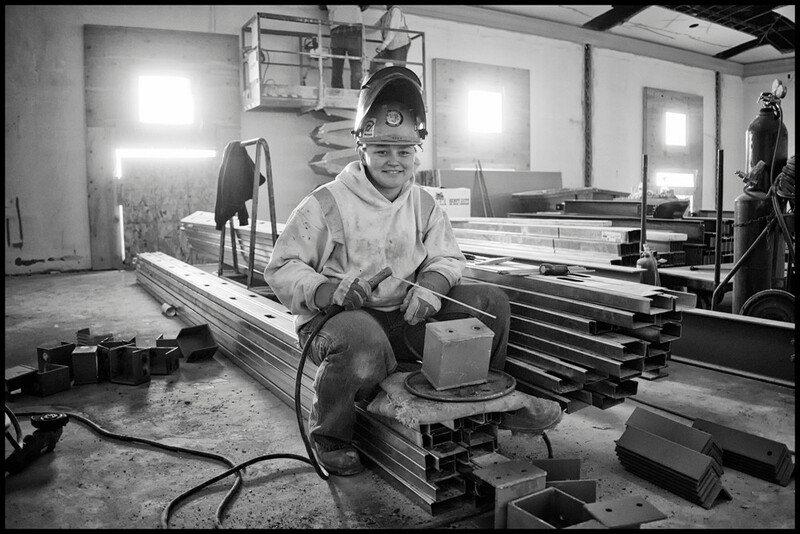 The black and white images of trades men and women give a sense of the diversity of jobs and workers on the project. These skilled workers brought the statehouse back to the beauty of its 1905 appearance, while modernizing it for use in the 21st century. The pictures of workers, composed to show the jobs they do, also give a sense of their individual personalities as they look back at Olmscheid and at those who are fortunate to view these wonderful images. A selection of the photographs can be seen on Olmscheid's website TOMO. The names of each of the workers is dispalyed with their photograph in the Capitol exhibition.